Mastung: Common people of Mustang have growing number of complaints about Shaheed Nawab Ghaus Baksh Raisani hospital. Shaheed Nawab Ghaus Baksh Raisani hospital was inaugurated in June 2012 by the Nawab Aslam led PPP government. People of Mastung had high hopes from this hospital but it has failed to deliver, as per the locals. Patients complaint that medicines in Hospital are not available for commoners but only to the favorite people of the doctors. Another major problem faced by people at Shaheed Nawab Ghaus Baksh Raisani hospital is the increase in fee. 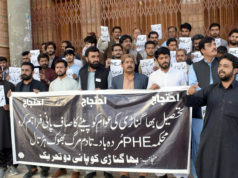 “Fee of hospital has been increased by two folds and this has created problems for the under-privileged people,” Kamal Khan a resident of Mastung told Balochistan Voices. Mr. Khan states that it’s not understandable that why the fee of almost every department has been increased. 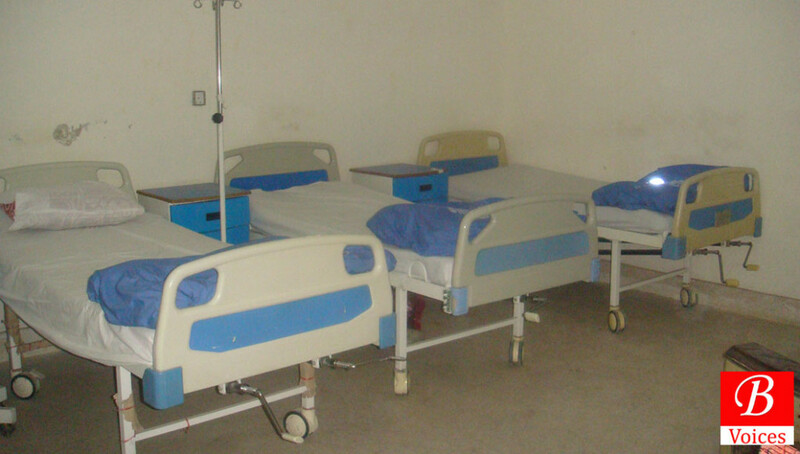 Balochistan Voices has learnt that Patients in Mastung are transported to Hospitals in Quetta due to lack of facilities in Shaheed Nawab Ghaus Baksh Raisani hospital. Citizens of Mastung have appealed from Chief Minister of Balochistan to improve the conditions of this hospital and help resolve the complaints of the commoners.